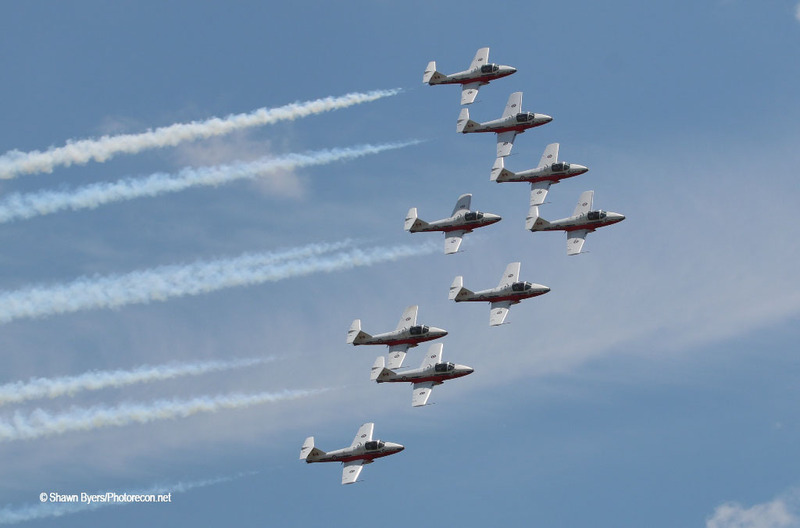 I am proud to present the Thunder of Niagara Airshow held June 9th and 10th, 2018 at Niagara Falls Air Reserve Station. 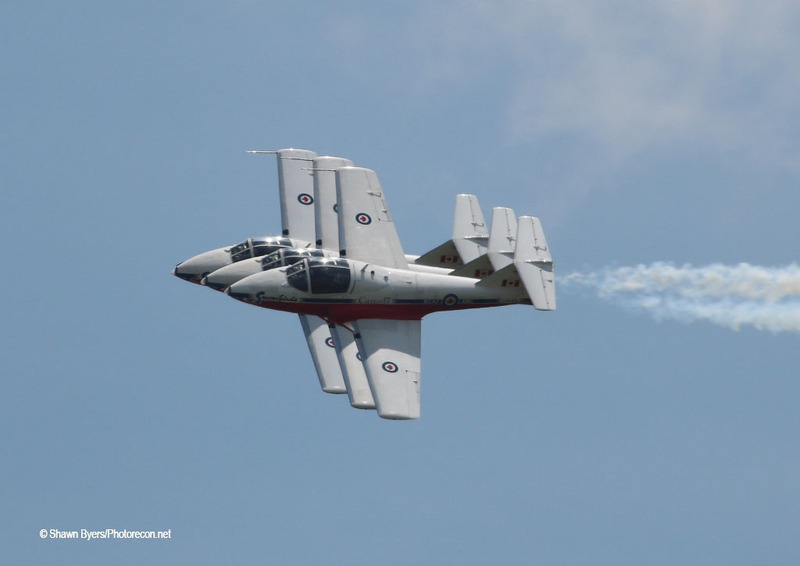 This airshow is a coming home for me as I grew up just south of this base and saw my first airshow here in 1983. Niagara does not host a show annually or every two years. Three to five years is the norm and whenever it is held, I make sure I can come home for it. 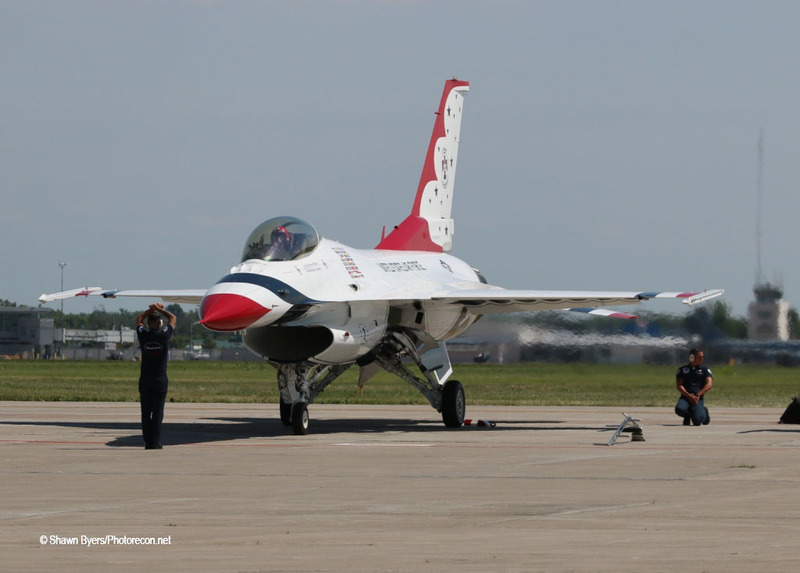 When you return to your hometown area airshow, it looks and feels different. This is your show and these are your people. We love our professional sports teams and our military. This show was a big deal in Western New York. The first impression upon entering was, wow, there are a lot of static aircraft on the ramp. I cannot remember a show here or anywhere else that had so many transient guests. 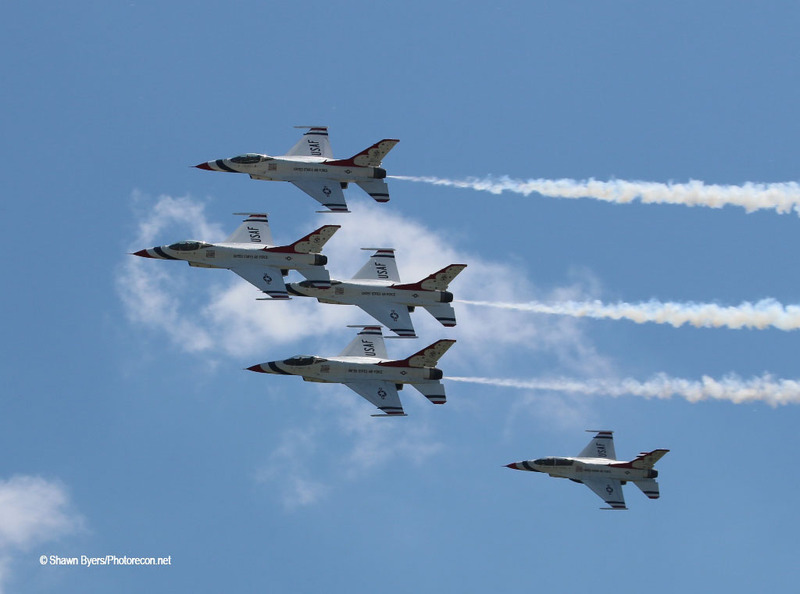 This was a show designated as a celebration for the 70th Anniversary of the Air Force Reserve. 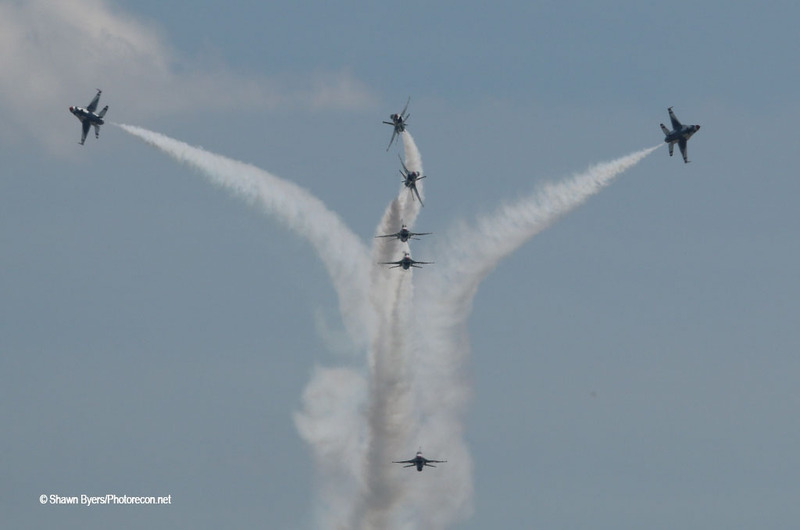 I am sure other airshows must have suffered from a lack of statics because they were all here. 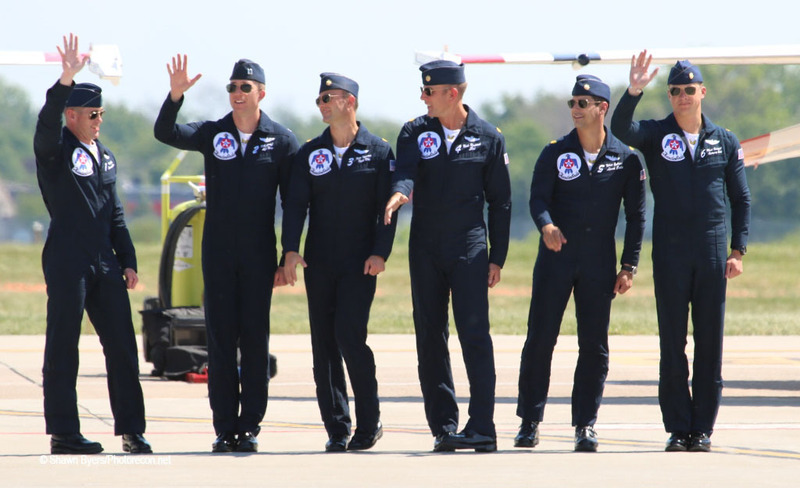 In addition to the static ramp, flying acts included two jet teams, five military single ship demonstrations and some of our favorite civilian acts. Flying ran on a tight schedule from 11AM past 4PM. 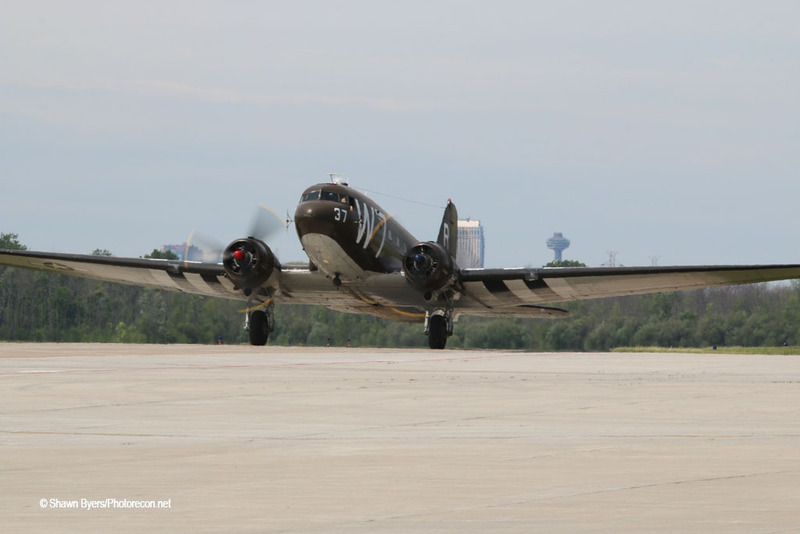 A brief history of the Air Reserve Station begins in 1928 when Niagara Falls Airport opened as a city owned municipal airport. 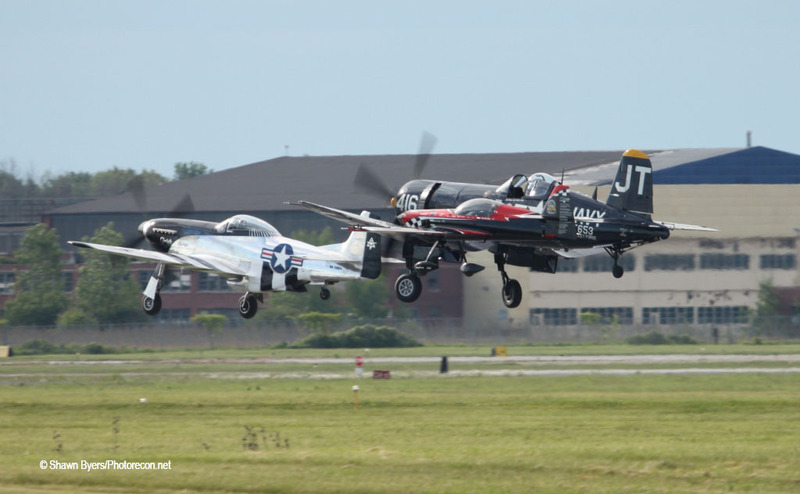 When World War II began, Bell Aircraft used the airport for P-39 and P-63 production flights. 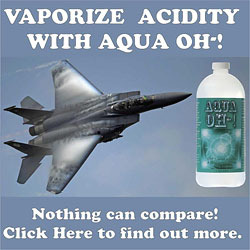 After the war, it was Naval Air Station Niagara Falls from 1946 to 1955 when it became Niagara Falls Air Force Base. 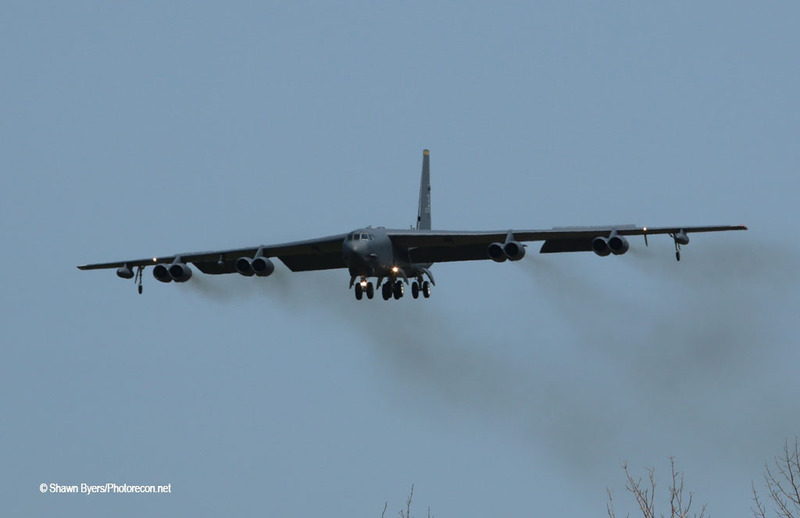 Then, in 1971 it became the Niagara Falls Air Reserve Station. 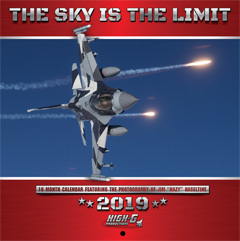 The 914th Air Refueling Wing is the host unit and there is also a New York Air National Guard unit, the 107th Attack Wing as well as some army units. The station is joint use with a civilian International Airport on the south side. This show was a three-and-a-half-day event for me as I went straight to the base upon arriving in town. 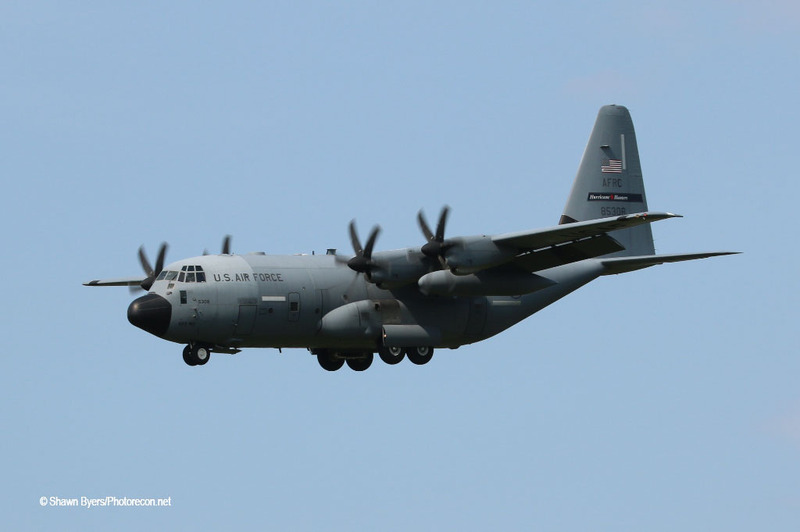 I photographed some arriving aircraft and attended the Department of Defense practice show on Friday. 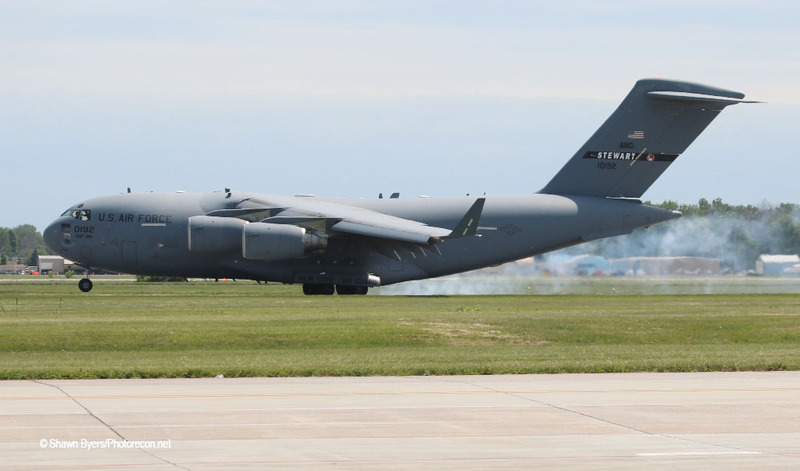 Arriving aircraft included two C-17s, two KC-10s, a WC-130J, “The Hurricane Hunters”, a B-52, which did a go around giving me two photo opportunities and the KC-135 from Altus AFB, which performed the daily demonstration. 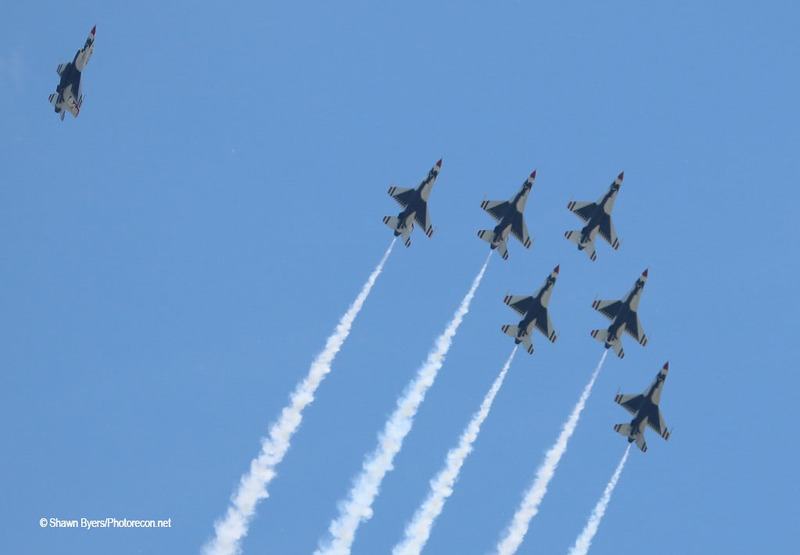 Later in the afternoon, the Thunderbirds arrived and did a loose fly around. 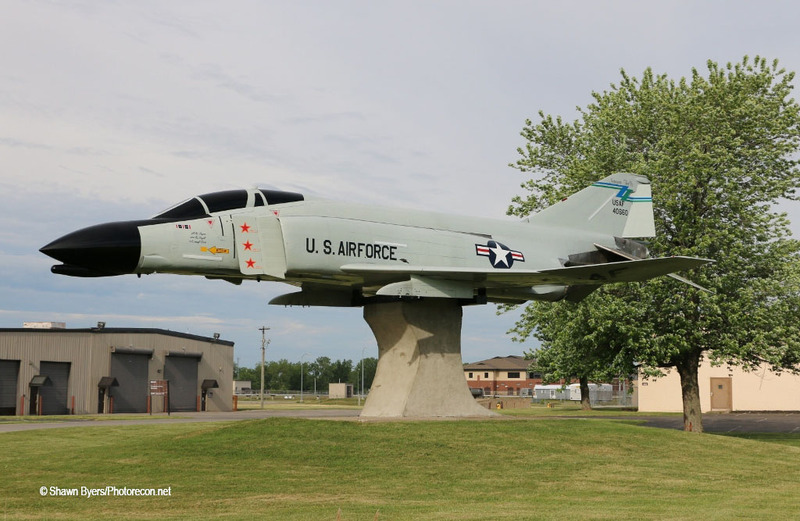 My first stop every time I enter the base is to see the triple Mig killing F-4C Phantom “six sixty” on display. 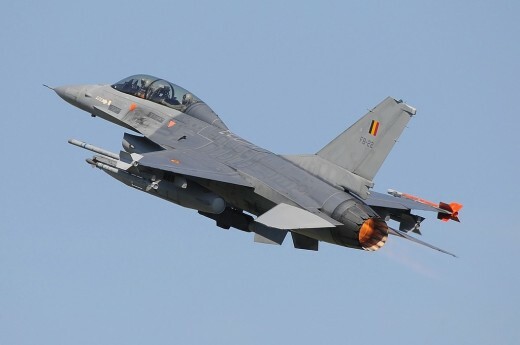 She used to fly over my house and is my most loved single airframe in the world. 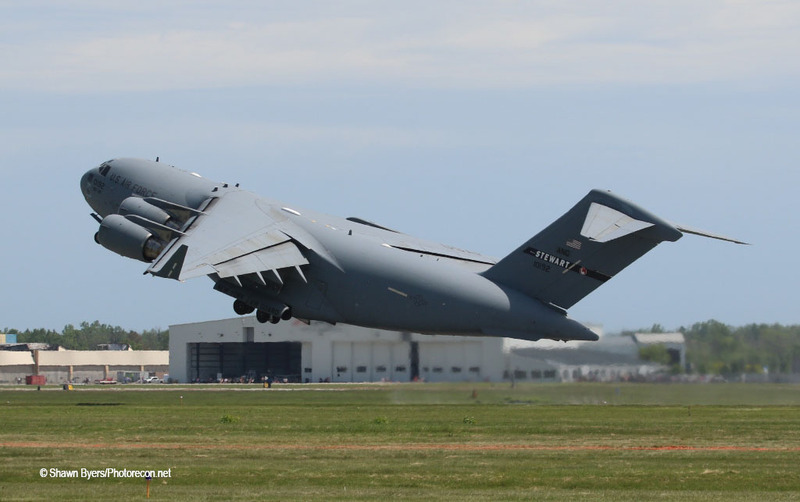 Once through the gates, the C-5M Galaxy from Travis AFB is open and ready for walkthroughs. 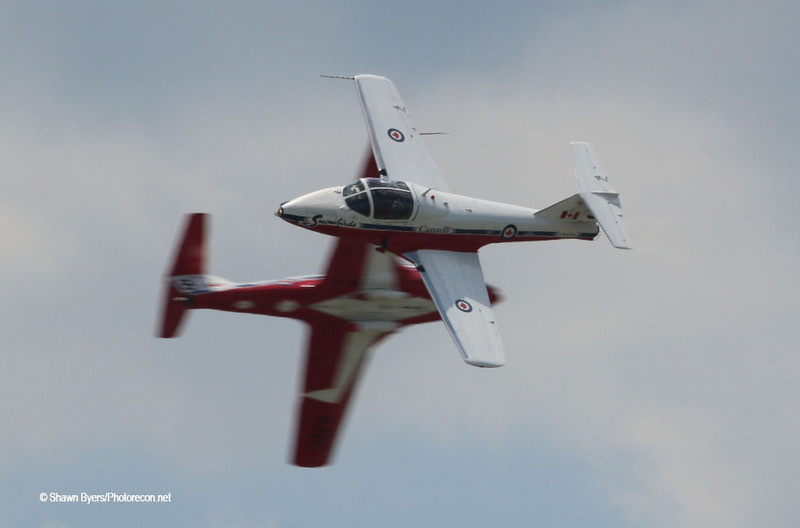 To the left were two Waterloo Warbirds from Canada in a De Havilland Vampire and a beautiful blue painted T-33. 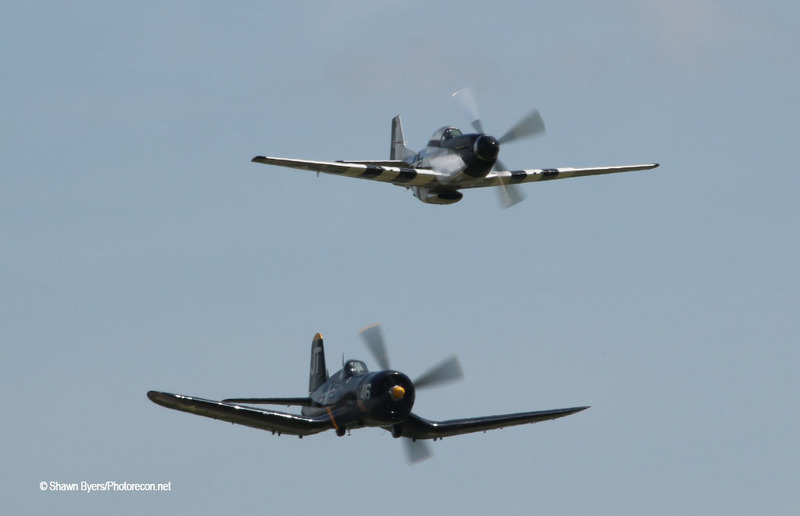 The warbirds continued with a Spitfire, P-63 King Cobra, P-51 Mustang, and F-4U Corsair with folded wings. An F-15E Strike Eagle from Seymour Johnson AFB was also in this first row. 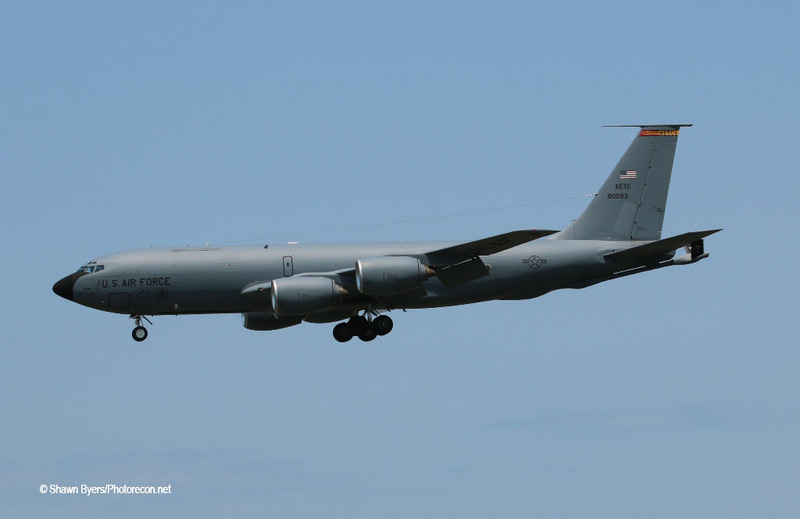 It was anchored at the end by a Niagara KC-135R with Air Force Reserve Command tail markings. South of that and beginning row 2 was a KC-10 from Travis but was behind temporary fencing because more statics were scheduled to arrive. This setback made some photography difficult once the flying started. 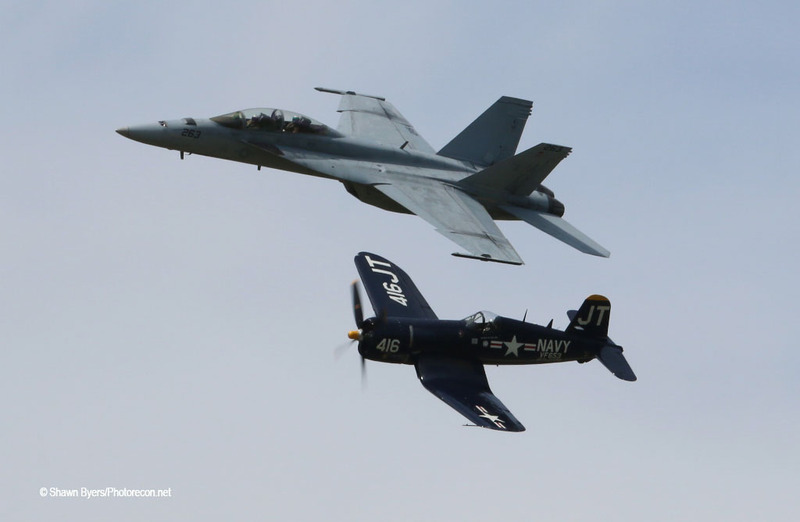 Fast forward to Saturday and row 2 continues with two F-16s from Vermont, an F/A-18C from NAS Oceana, and two A-10s from Moody AFB. 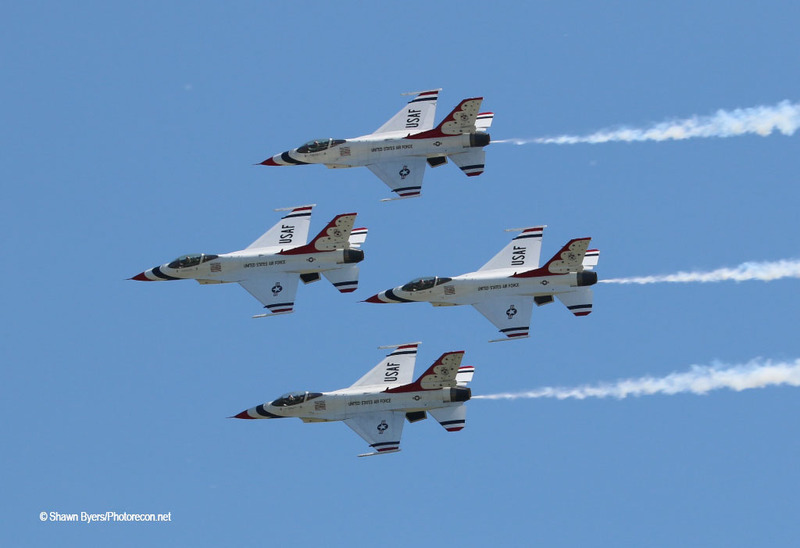 Behind that in a broken row 3 there was a T-38 from Whiteman AFB, a T-6 and a T-1 from Columbus AFB. In row 4, there was an E-2C from Norfolk, a CH-47 Chinook helicopter from Fort Drum, NY, and two T-45s from NAS Meridian, one in cool tiger paint. 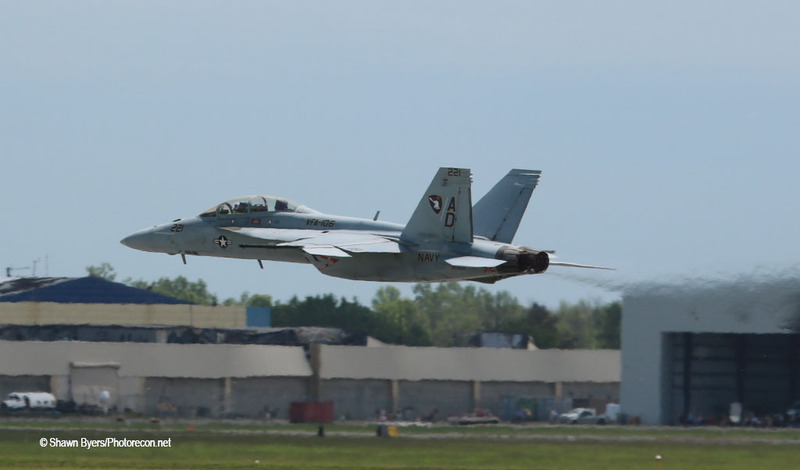 The pilots of the F/A-18 and T-6 were also Western New York natives. But wait, there’s more! The ramp narrows but extends westward with more statics. A WC-130 of the Hurricane Hunters, an A350 Helicopter from Customs and Border Protection, a NASA De Haviland Otter, a Vultee Valiant, a B-17 “The Movie Memphis Belle”, a B-52 from Barksdale AFB, an F-15C from Eglin AFB, another KC-135R from Niagara, a C-130 from Youngstown, OH, a Bell Jet Ranger from the Erie County Sherriff’s Department and another KC-10 from McGuire. Two statics of note were also participants in the early part of the show and were towed in to the fence line. They were the C-47 “Whiskey 7” and an L-39 Albatross. Although set back a hundred yards by the temporary fence line, I still had some photographic opportunities, just nothing down low near the runway. Later in the day, I was moved, thanks to my media credentials, to a spot near the show line. 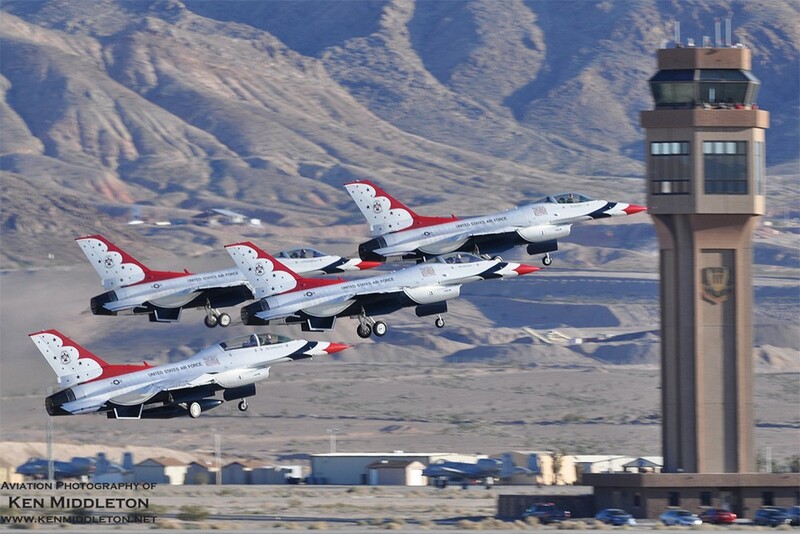 Most of the practice day flew according to schedule except the Thunderbirds flew at about 1pm. 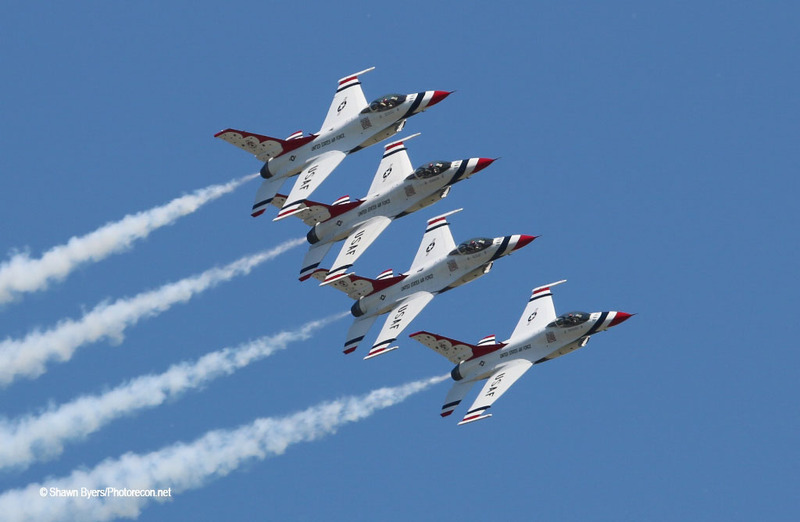 This was interesting as Thunderbird 7 was in the air with them. 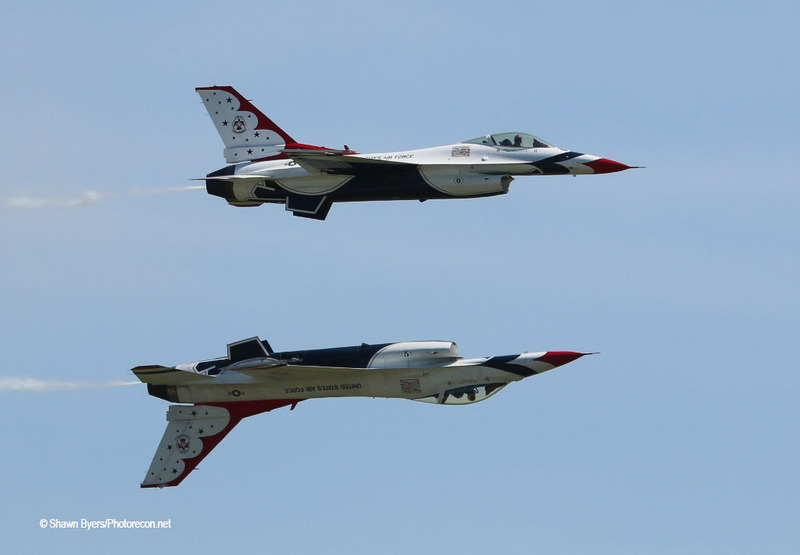 They flew over Niagara Falls and then came back with Thunderbird 7 taking pictures throughout the routine. 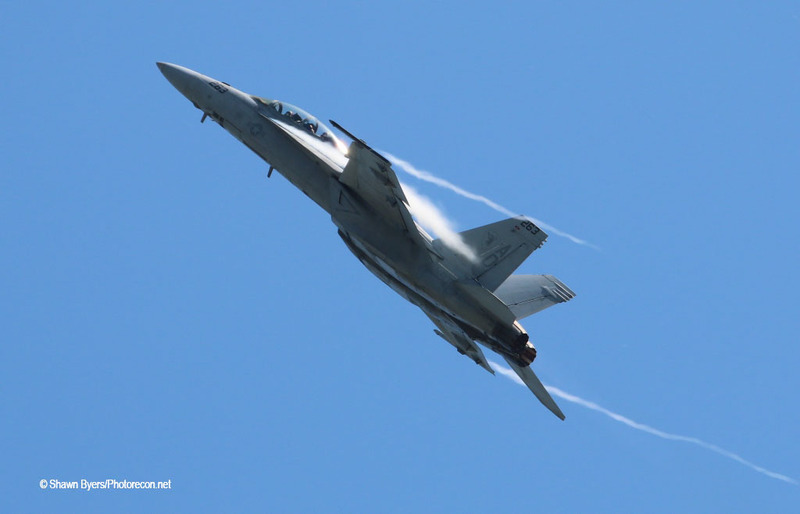 Then, we had a second opportunity to see the F/A-18F Super Hornet Demo with Legacy Flight. This is a good time to mention that Thunder of Niagara is largely a backlit show for photography. Although that can ruin a lot of photographs, the sun can also have an interesting effect and I have included a few examples. 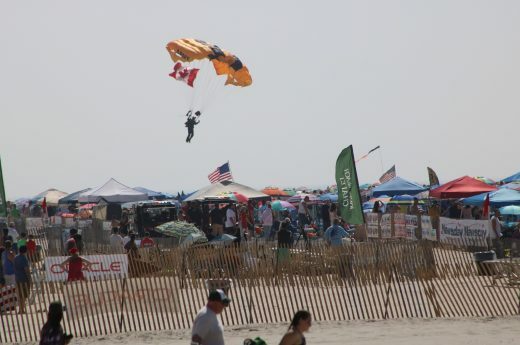 Then, Rob Holland tumbled through his routine, followed by a C-17 demonstration from “The Hudson Valley Haulers” out of Stewart International Airport. 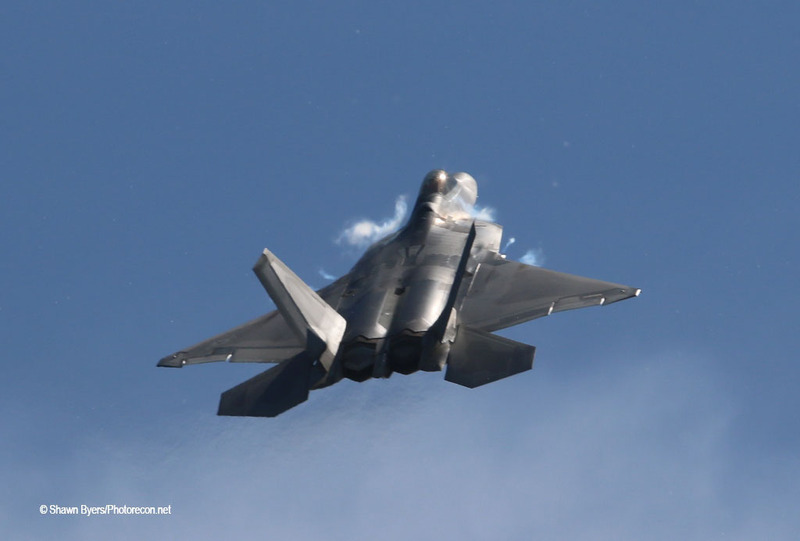 The F-22 Raptor finished out the day and it was almost 5PM when he landed. Saturday was a cloudy and humid day. I almost didn’t mind as I had a good show on Friday and the clouds would give me photo opportunities at times that a sunny day would not. This was the first day open to the general public and it was crowded. Despite the cloud cover, all acts could perform high shows. 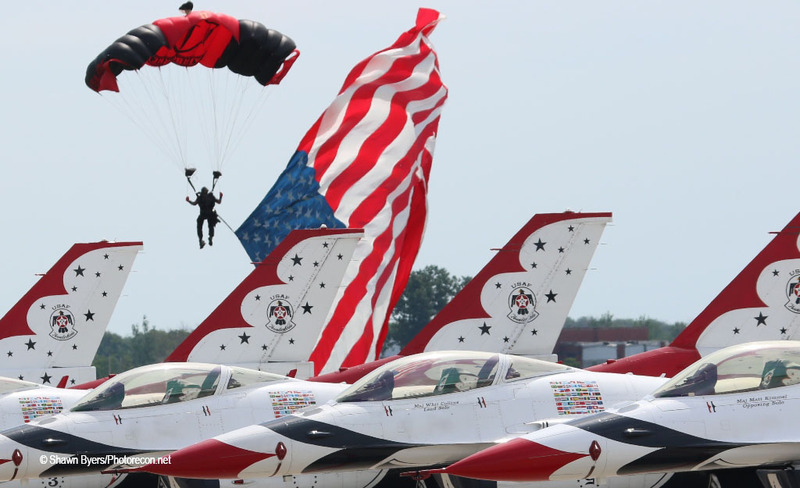 The show starts at 11am with a flag drop by the Black Daggers from “Whiskey 7”. Rob Holland flies circles around them until about 1,000 feet remaining. 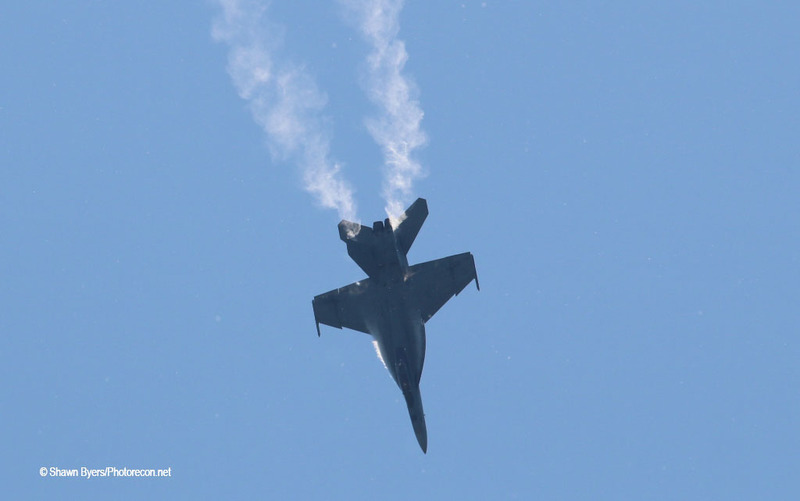 Next is an L39 demonstration and then it gets loud with the Super Hornet Demo from VFA-106, “The Gladiators”. 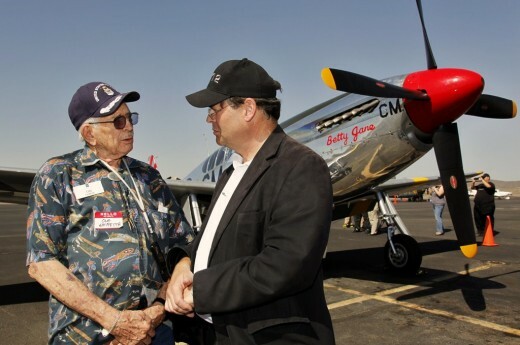 Jim Tobul joined the Hornet for a Legacy Flight. 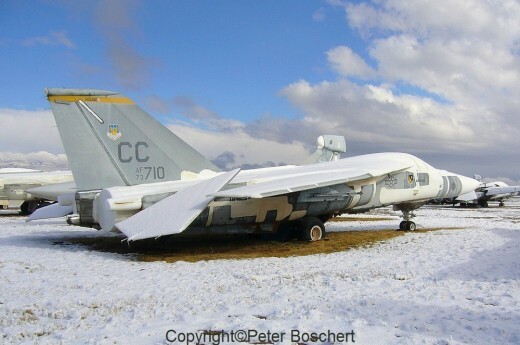 Both aircraft recovered and taxied back with their wings folded. 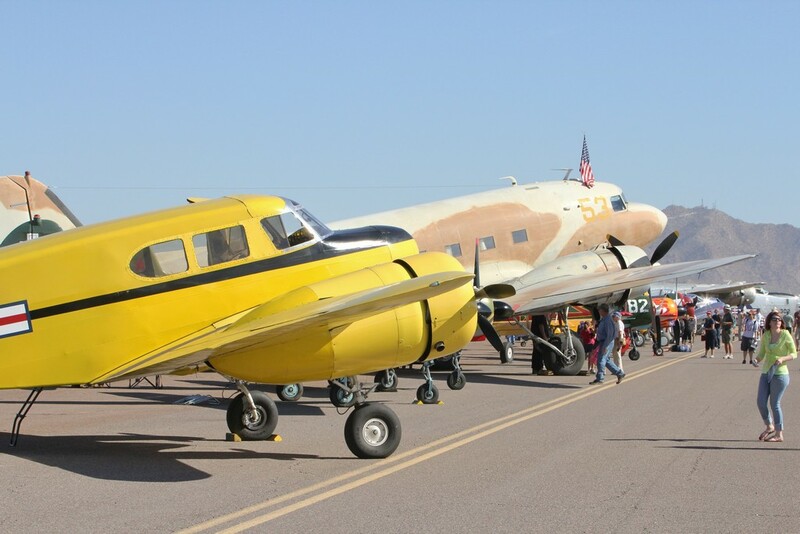 Kent Pietsch performed the first of his three demonstrations in his Jelly Belly Interstate Cadet. His first routine culminates when he lands on a moving mobile home. 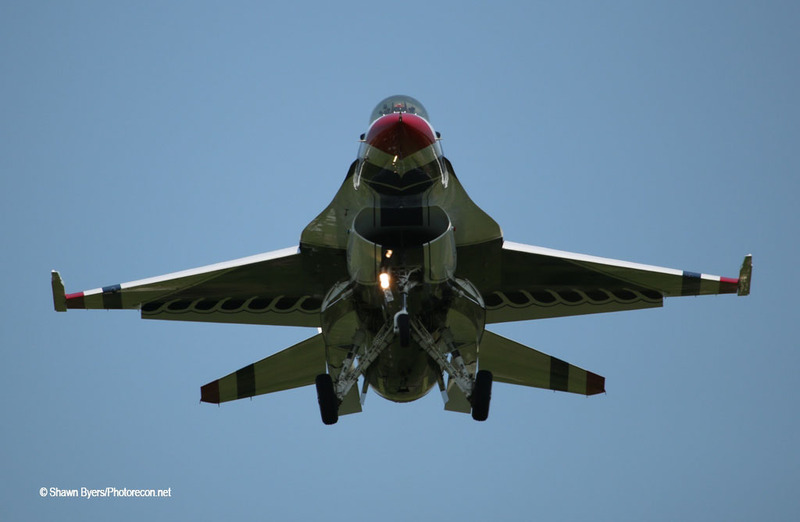 In the passenger seat of the mobile home, we saw Paul “Loco” Lopez, the F-22 Demo pilot. This was not the last we would see of him doing something other than flying the Raptor. I also saw him hanging with the Air Force drill team and posing for a picture with their gun. I also met him personally on Friday. Loco definitely enjoyed his time in Western New York. This was the first time the Raptor had been here. 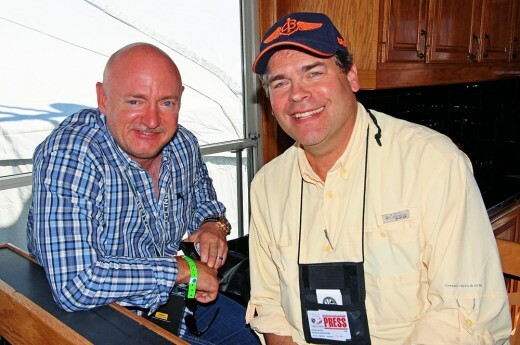 Back to Kent Pietsch, after landing on the mobile home, he was launched back into the air. In the distance, you can see tall buildings and the Skylon Tower in Niagara Falls, Canada. Kent would return with an engine off, dead stick routine, landing on the taxiway. His third act of the day came later when he posed as a Canadian raffle winner for a free flight who accidentally takes off. Comedy ensues when a controller tries to talk him down as aircraft parts and toilet paper fall from the plane. 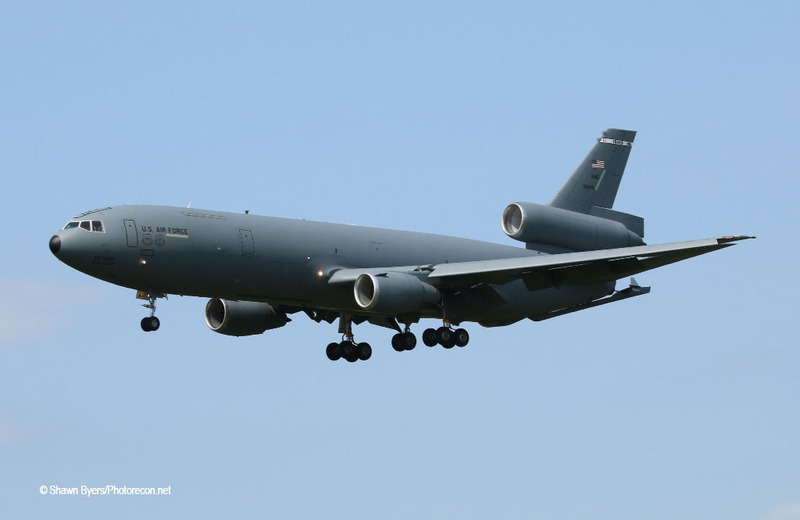 The KC-135R from Altus AFB performed the tanker demonstration featuring a boom down pass and a low approach skimming the runway at only a few feet. It was nice to meet the parents of the pilot who were behind my seating location and drove in from Ohio. 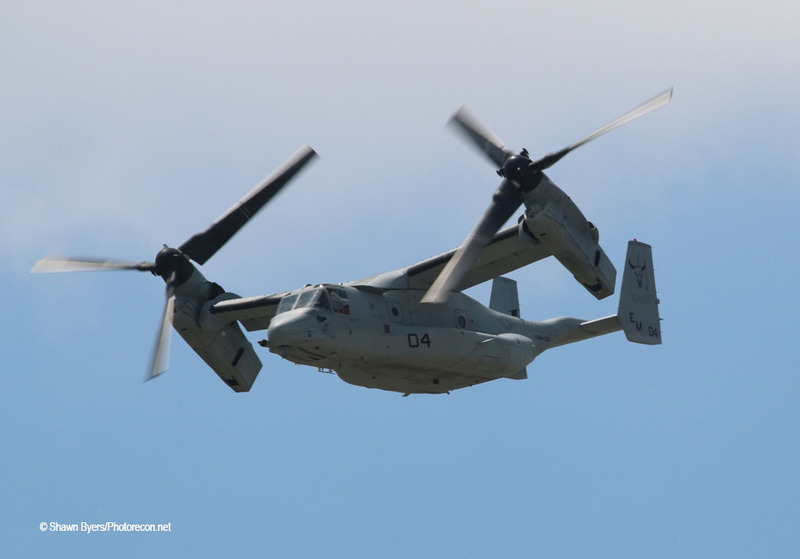 The Marines from VMM 261, “Raging Bulls” out of MCAS New River, NC, performed a demo with the MV-22 Osprey. 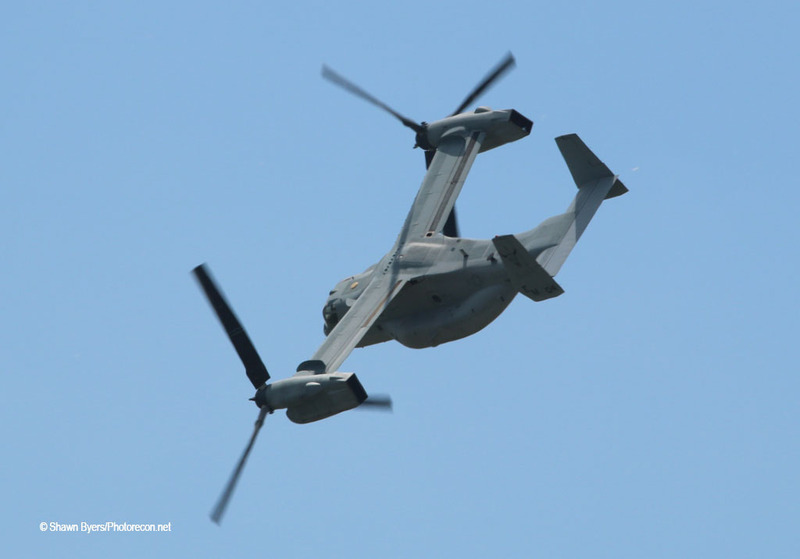 There were multiple passes transitioning from vertical rotors to straight with one pass over the top into a bank. 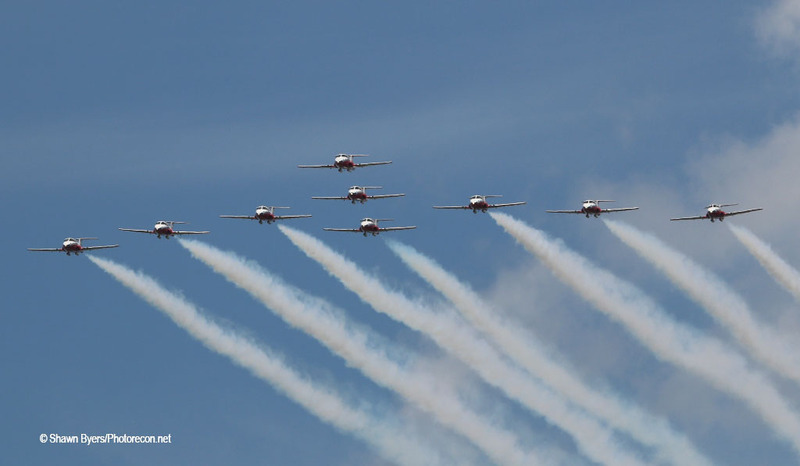 The Snowbirds took to the sky around 1230 putting on their nine-aircraft demonstration with tight formations and solo passes themed to upbeat music. 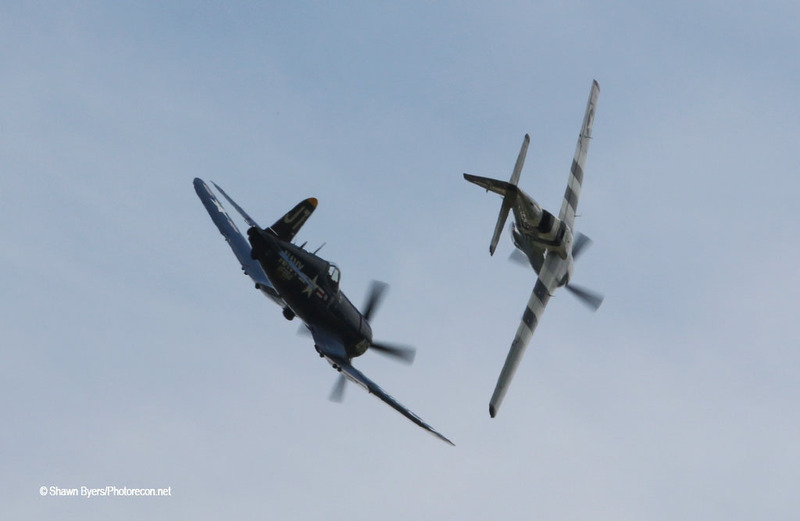 They were followed by solo performances by Scott “Scooter” Yoak in his P-51 Mustang, “Quicksilver” and Jim “Torque” Tobul in his F-4U Corsair, “Korean War Hero”. 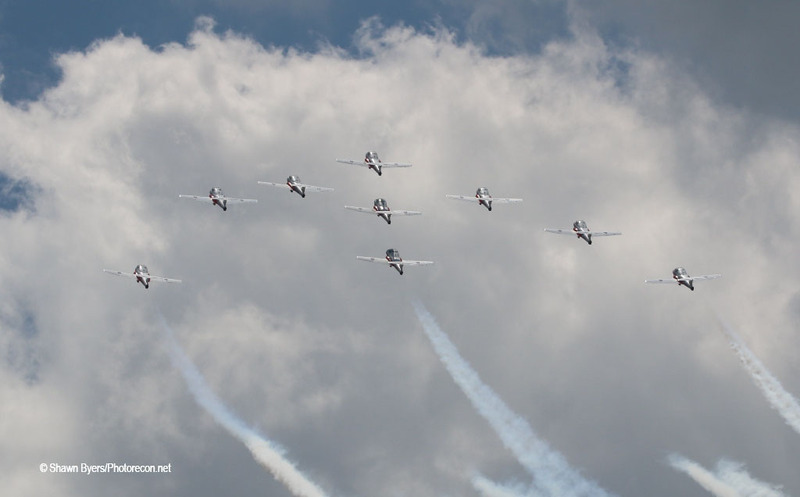 Then, they joined up for my favorite airshow act, “The Class of 45”. Both aircraft are in the air for about 30 minutes. 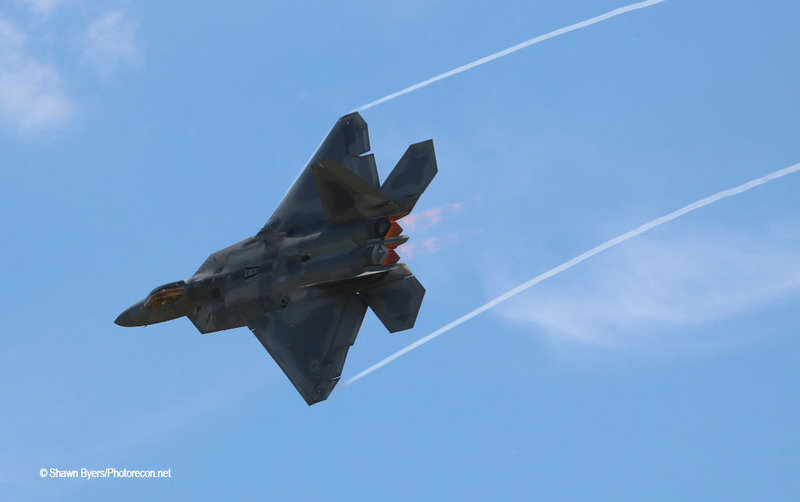 Next to go was the F-22 Raptor. As mentioned earlier, this was the first demonstration ever in Western New York. There was a lot of enthusiasm in the crowd to see her and everyone’s cell phones were up recording. 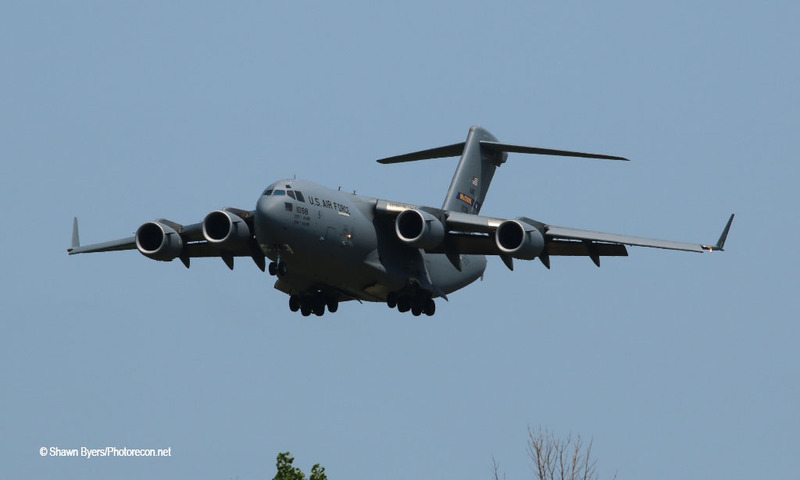 The C-17 would perform a routine demonstrating the quick takeoff, stopping and tight turning of the big airlifter. 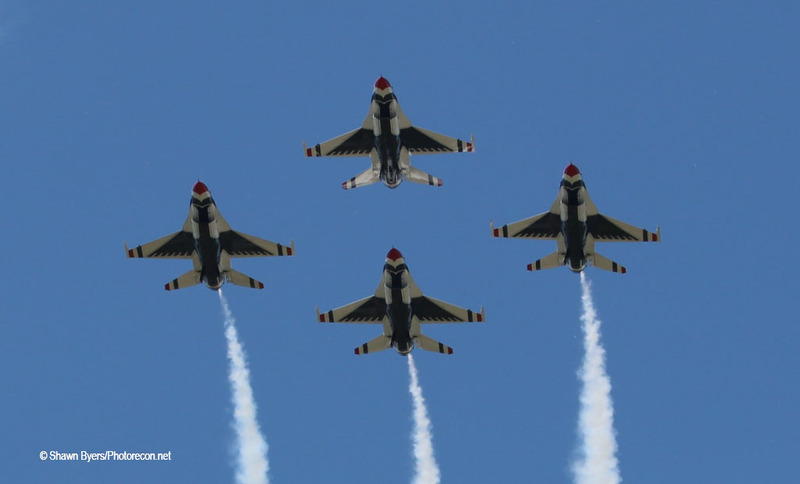 Rob Holland performed in that final slot before the Thunderbirds, who would close the show. A funny thing happened Sunday morning as I was setting up my chair. Scooter Yoak, Jim Tobul and Rob Holland took off together! I scrambled to get a camera up to take the picture. 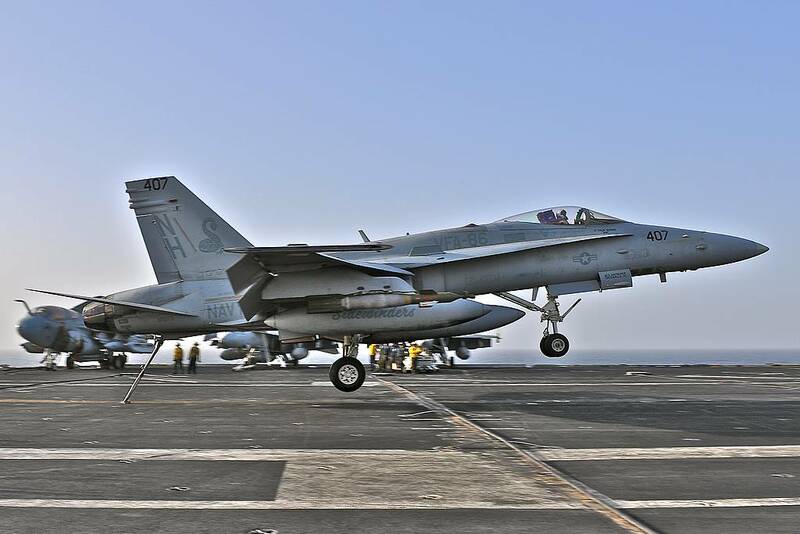 Then, both Super Hornets took off in the other direction. 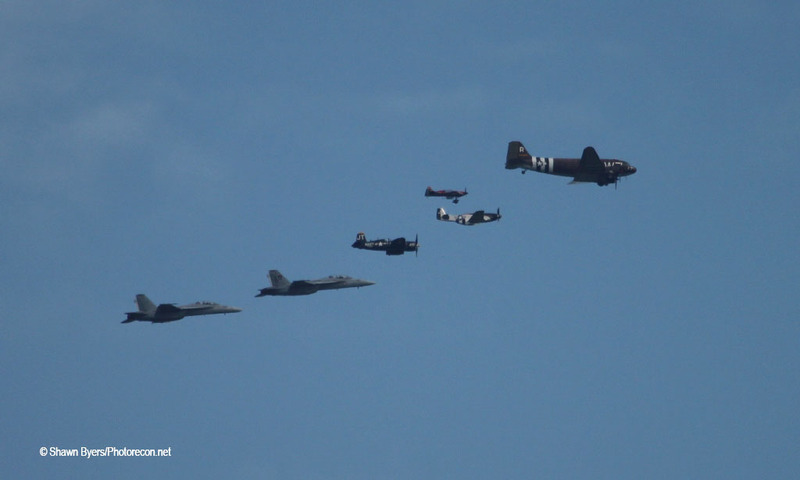 I saw a formation in the distance consisting of these 5 aircraft and Whiskey 7 and took a long distance, low quality shot. They did not overfly the airport like that and returned at different times. 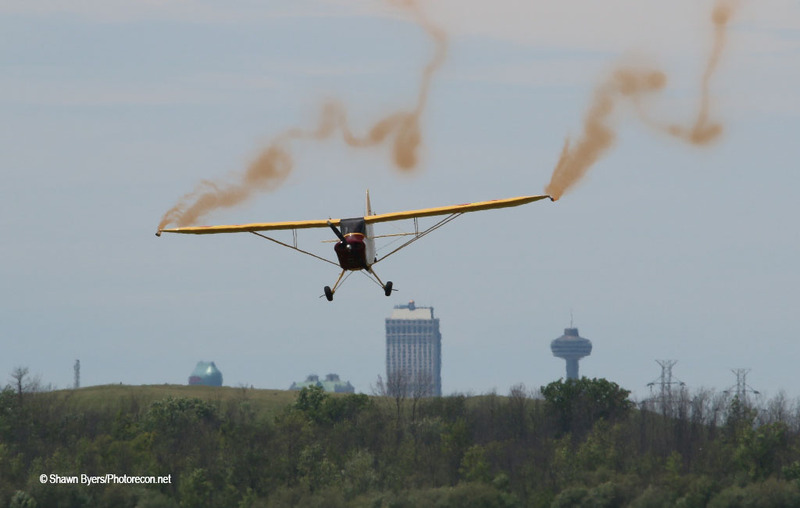 I suspect it was a photo flight over Niagara Falls or advertising for today’s show. Otherwise, Sunday was an exact replay of Saturday, with sun. 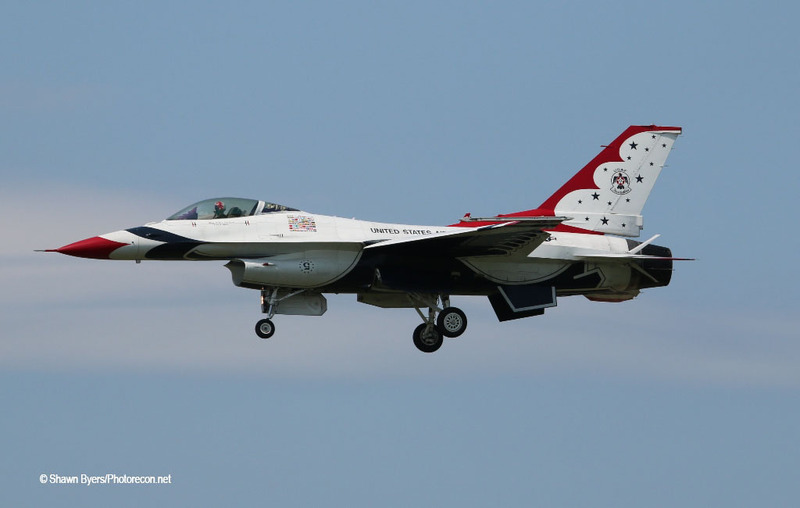 There were a few events later in the day like the Super Hornets and Thunderbird 8 departing. I took more time to walk around on Sunday and saw the Air Force Drill Team warming up near a hangar while the Blue Aces performed just inside the security checkpoint. They sounded great. 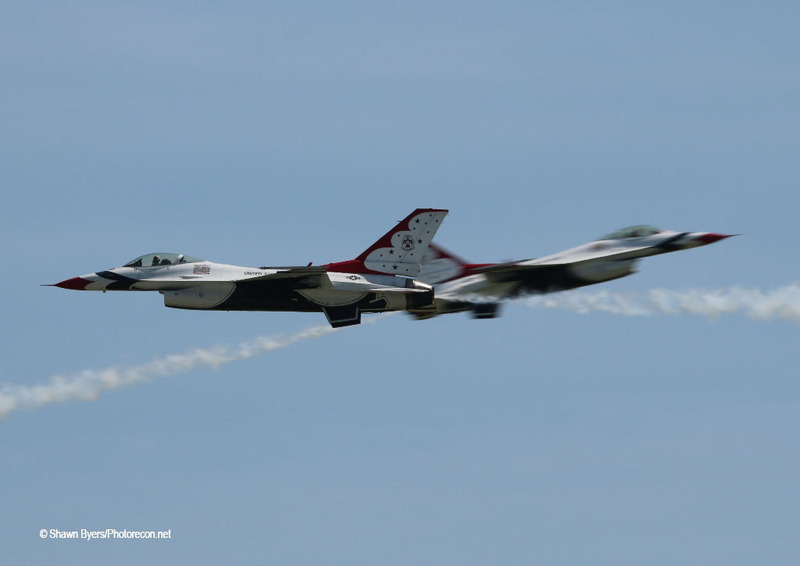 Having been to this airshow for many years, I would have to say that it was their best ever. 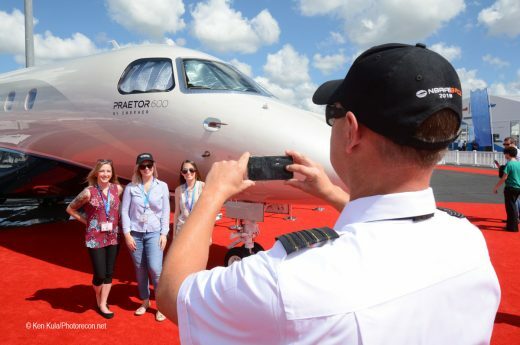 The weather cooperated, the jet teams and individual performers were perfect, the schedule was packed, the ramp was packed with statics, and everyone just seemed so happy to be there. As I said, this is a big deal in Western New York. 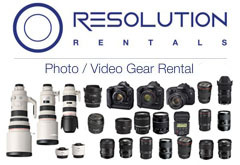 Not hosting a show in 3 years did not exhibit any rust as everything seemed to run smoothly. Team Niagara did a great job. 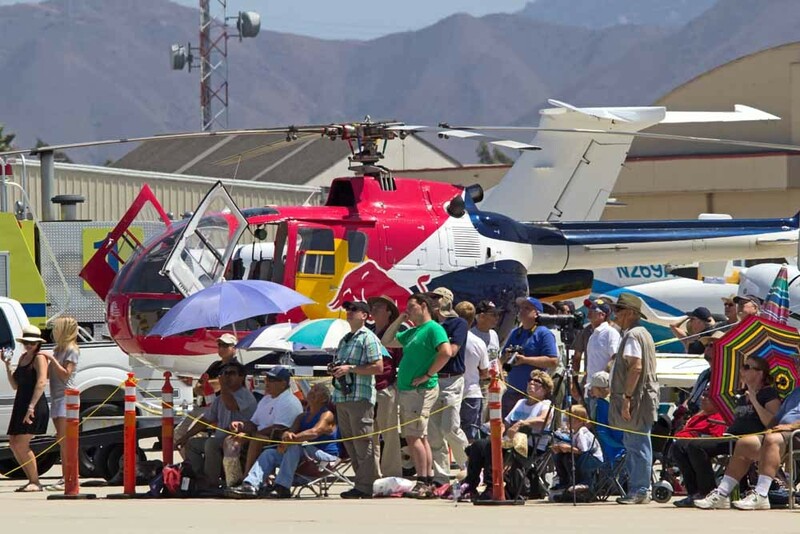 As always, we owe our thanks to the many people who pull together to put on an airshow.